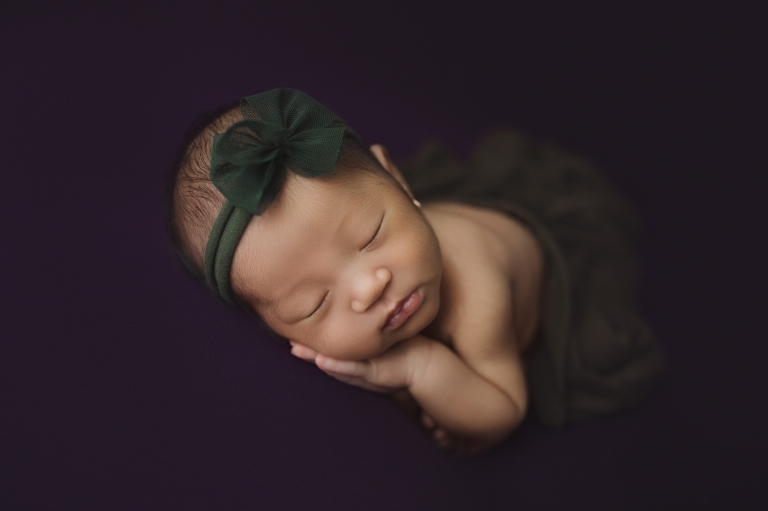 It was such a pleasure meeting this family for their newborn photography Tacoma! Their little girl is one of the prettiest babies I’ve ever photographed! Her skin was flawless and her features are the cutest! She even had her ears pierced! I was in awe when I saw them! Just the simplest, prettiest details for her baby session! Mom chose the best colors for their newborn photos! 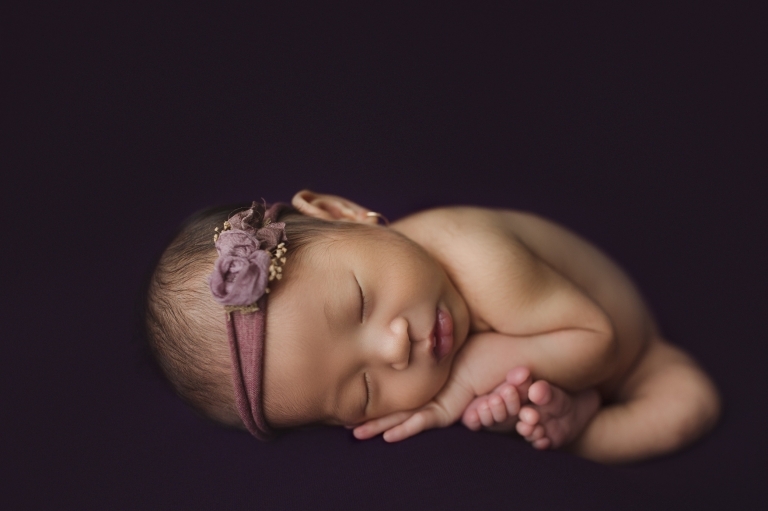 The deep purple and green really accentuated this baby girl’s skin! It really made her beauty stand out and showcased how gorgeous she is! The parents were so nice and we talked throughout their entire studio session! Its so nice to get to know the parents! Its one of the best parts of this job! Most of the time, I finish a session feeling like I’ve made a new friend!